Happy Birthday Fishing Fury! 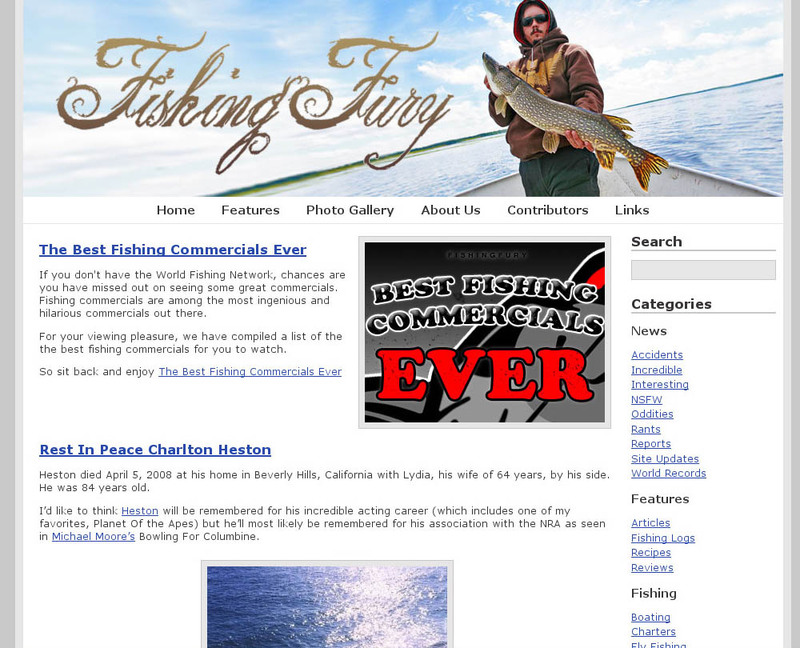 | FISHING FURY - A Fishing Blog with Attitude! 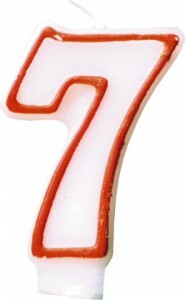 That’s right today, June 8th, is our official birthday- which makes FishingFury.com 7 years old! Sometimes its hard to believe how far we’ve come since that first year fishing Mystery Lake (video, video), Toronto Islands, and even my short trip to Key West. 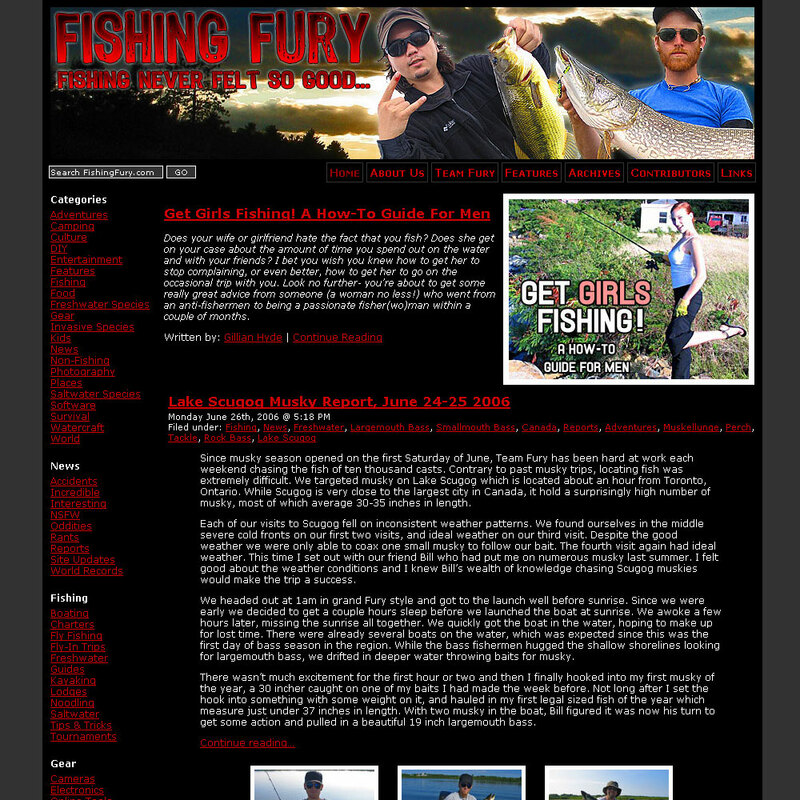 In our second year, in 2005, we branched out further bringing the fury to La Paz, Mexico (more, more, more, more, video) and the British Virgin Islands (more, more, video) and still had some time to come back and target trophy pike in Little Vermilion Lake (video). Since Clive and I started this blog we always knew we wanted better things, and that if we worked hard enough we could eventually take ourselves there on our own merit. 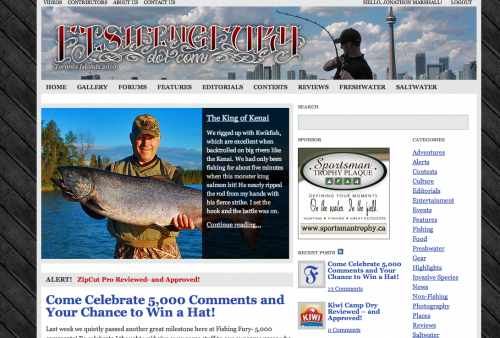 Several milestones later years of work started paying off with interviews by several newspapers, writing for a Fins + Skins magazine, and even working with Tim Cherry and Jamie Pistili of Big City Fishing to name a few of the most exciting. 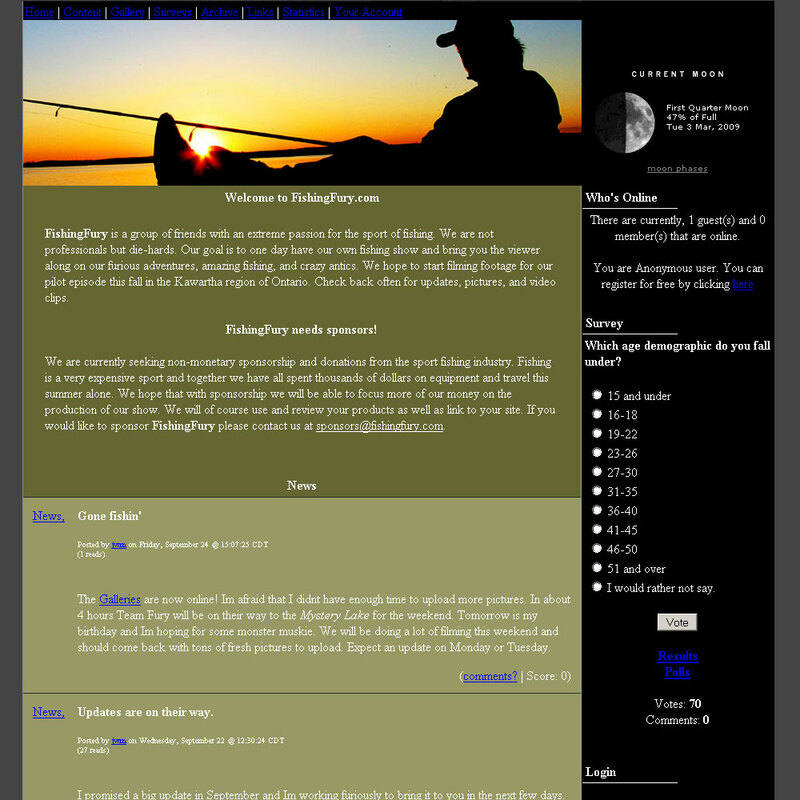 Even the site layout and design has grown so much over the last few years, how many people here remember the original PHP-Nuke design from 2004? My what a long way we’ve come… And there’s no stopping here! 7 years! Your vision and dedication to this site is impressive and inspiring. I hope to be reading the ‘fury for another 7 years. Hopefully more! 2006, that’s the 1st picture that came up when i 1st found this site, loved seeing it again, i just didn’t realise it was that long ago now! My what a long strange trip it’s been. Toronto Fishermen Furious Over Fishing By-Law Enforcement | Fishing Fury - A fishing blog with attitude!